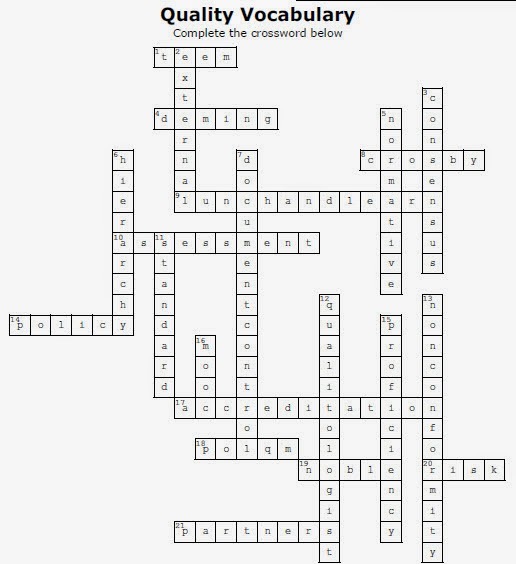 On April 2nd 2014, I posted my Quality Crossword Puzzle. Attached is the Key to the puzzle. If you would like to see more of these puzzles and games, let me know.